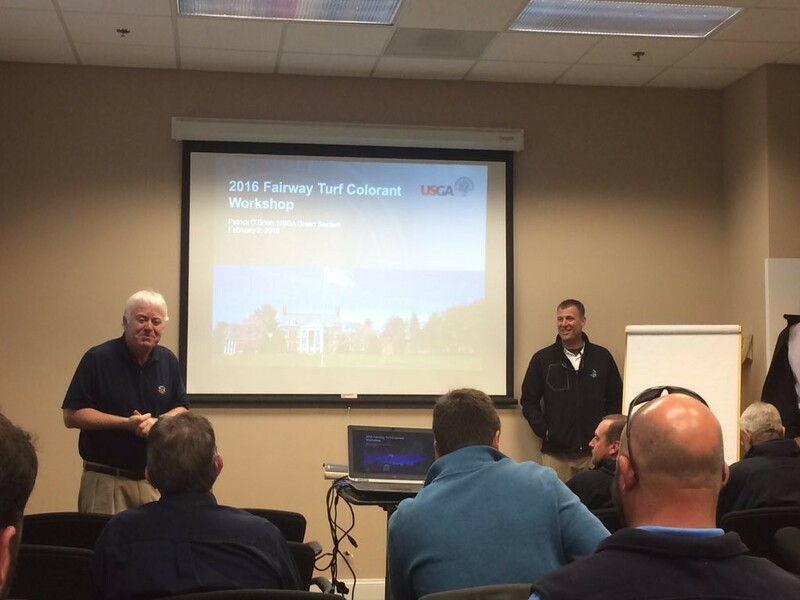 USGA Green Section sponsored a workshop at Pinehurst Resort in North Carolina that brought together experts in turf colorants. Several of the most experienced golf course superintendents shared how they used colorants, particularly for fairways. “It was a great opportunity for us to see first hand and learn tips and techniques from guys that have been doing it better for longer (this is year two of coloring fairways at Carolina). Anyway, I found the workshop to be very informative and hopefully you will notice improved results in future applications as we continue to strive for high standards.” Read the rest of the GREENKEEPER blog: click here. 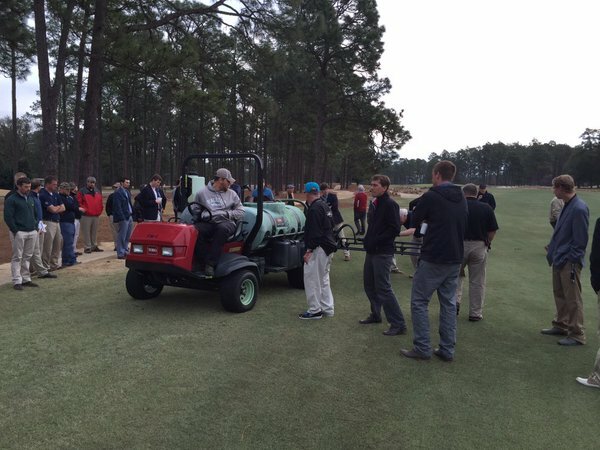 Endurant TC is featured as a turf colorant used among top golf course management professionals at a seminar held at Pinehurst Resort in February. 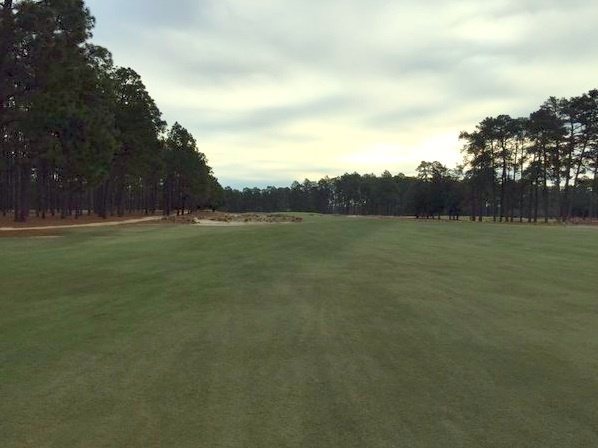 Certified Golf Course Greenkeeper MatthewWharton shared this photo taken at Pinehurst Resort in North Carolina of Endurant TC applied at hole 15, course No.2. More views from the Pinehurst Turf Colorant Seminar hosted by the USGA Green Section photo shared by Matthew Wharton, CGC Greenkeeper. Pictured is Endurant TC applied to hole no. 14, course no.2 at Pinehurst Resort in North Carolina. USGA SE Region Agronomist Patrick O’Brien shares general principles of applying turf colorants to fairways during the Pinehurst seminar held in February. Demo of Endurant turf colorant at Pinehurst Resort. Photo by Gantt Martin. Pat O’Brien, USGA SE Region Agronomist, sharing benefits of applying turf colorants rather than relying only on overseeding. O’Brien shared general principles on turf colorants applied to fairways. Golf Course Superintendents Kevin Robinson and John Jeffreys shared their trends of using colorants at Pinehurst Resort. Rob Vaughan of Brunswick Plantation, NC, shared tips on setting up a sprayer for applying turf colorants. Golf Course Superintendent Jeff Mack shared the trends of colorants used at Country Club of Landfall. 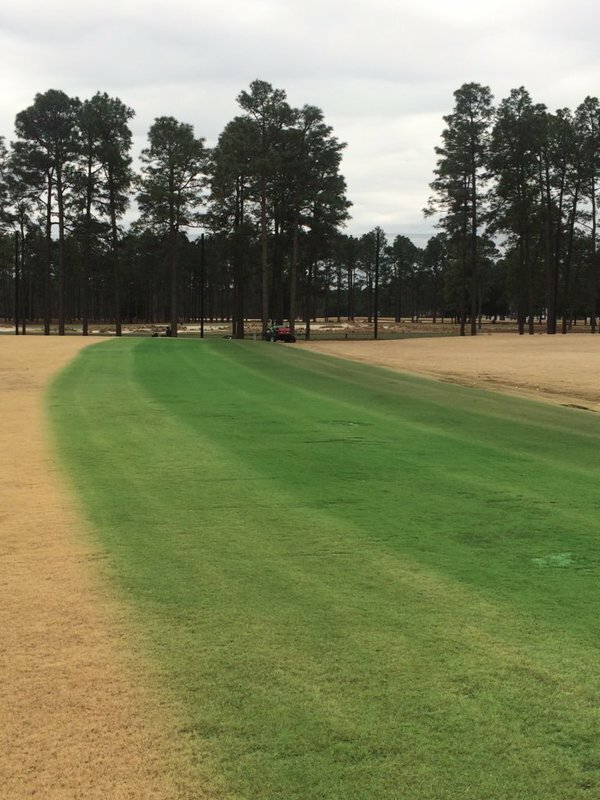 Dr. Steve Kammerer, the USGA SE Region Director, shared the use of colorants on semi-dormant turf as seen throughout the southern U.S.
Geoponics enjoyed the opportunity to provide demonstrations of colorants while also viewing new sprayer technology. Information about Endurant turf colorant, the colorant preferred by golf course professionals for years.